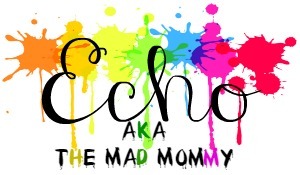 The Mad Mommy's Chicken Noodle Soup Recipe! 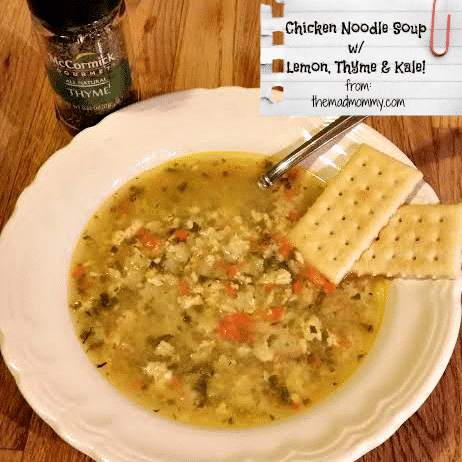 Chicken Noodle Soup w/ Lemon, Thyme and Kale! I love eating and making soups. Believe me, when you live in a frozen tundra, like we do, almost every night could be a soup night! So, I was thinking about ways to mix up my normal chicken noodle soup recipe and as I was rummaging through the cabinets and fridge I found McCormick Gourmet Collection Thyme Leaves (Thanks to Influenster and my FrostyVoxBox), lemon, fresh kale, scallions and some really cute pasta stars that my 3 yr old had picked out. Perfection! The thyme, lemon and scallions really send this soup to the next level! Place chicken breasts, chicken broth, water, garlic powder and thyme in a soup pot over high heat and bring to a boil. Let it boil for about 5 minutes. While that boils, put the carrots, kale and scallions into your food processor. Remove the chicken breasts from the pot and put those in the processor as well. Pulse until everything is about pea sized. Return everything back into the boiling broth. Continue to boil for another 5 minutes. Squeeze in the fresh lemon juice and add your pasta. Boil for another 8 – 10 minutes or until the pasta is cooked to your liking. Give it a taste and add salt and pepper as you see fit. Serve to your happy family! It’s the easiest, yet most delicious chicken noodle soup recipe that I have come up with and it scored 12 thumbs up in my house! What takes this Chicken Noodle Soup #recipe to the next level? Come on over and find out! How many thumbs up will this recipe score in your house? This looks amazing!! Perfect weather for some tasty soup!! It is the perfect weather and this is now, my favorite soup! So good! It is so yummy! I really think you would enjoy it. I love soups, so I am constantly making them when the weather is like this! That sounds delicious. I love a good chicken noodle soup. Thanks! This is a very scrumptious one! I’ve never made this soup but I’m hoping to get into making more soups as the weather is so miserable now. It looks delicious, you are very talented!! Awww, thank you so much! This soup is super easy to make though! Give it a try! Love this super quick soup! I typically make all my chicken soups starting from a whole chicken but this is a great quick and still healthy alternative! I love all day soups too, but I live for quick and easy recipes! See I don’t love making soup but I do love eating it. So this is why you need to join my homestead. I love making soup and feeding people! Everyday, this sounds more and more like a win-win situation! I love soup!!! ALL THE TIME. And I love McCormick too! This is an awesome soup, Rea! You will love it! This sounds and looks good. I have never made Chicken Noodle Soup at home. I will have to try to make this recipe. This is such an easy and delicious recipe! You will love it! This soup sounds very tasty, and a lot better than your standard chicken noodle. I love it, and I’m going to share on my fanpage. I’ll have to try making it your way sometime. I can do it in my slow cooker! Thanks, Amanda! It is really delicious! I bet it would work great in a slow cooker! 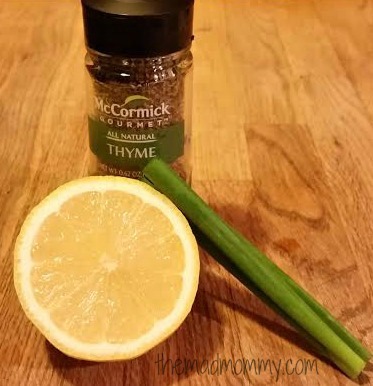 The lemon and thyme really transform the flavor! It is so good! It makes me want to have this one – seems like so yummy and healthy. I need to eat real food – not processed and ready made one. I try to use as many fresh ingredients as I can while still making it easy and accessible. Very interesting soup… with kale and thyme. Delicious! So delicious! A new household favorite! I could honestly live on soup … winter or summer! I make all kinds at home. I never throw out a chicken carcass without using it to make stock first. Leftover bits of almost anything get wrapped and thrown in the freezer for a future pot. I even save my shrimp and crab shells from a restaurant and take them home to make stock for bisque! Your recipe sounds great! Oh me too! I am a soup fiend! I love all kinds of soup! Oooh I like this twist! I make soup all of the time and chicken noodle is a family favorite. I will need to try this next time! Your family will love it, Jen! It’s definitely not cold here, being mid summer, but I could totally live on soup too. So many delicious recipes to choose from. Chicken and noodles were a match made in heaven wern’t they! Well, keep it in mind for those cooler days! I did stop by and link up! Thank you so much for the invite! That looks so yummy! I love Influenster, but unfortunately I did not get a Frosty Vox Box. Maybe some day! This is great – quick and easy. Thanks for sharing! It will come in handy. Yum, love the pasta stars instead of traditional noodles. Thanks for sharing with Small Victories Sunday Linkup and hope you join us again this weekend! Pinned to our linkup board. I just love chicken noodle soup. This recipe looks and sounds so good, I can’t wait to give it a try. YUM! This sounds so delicious.